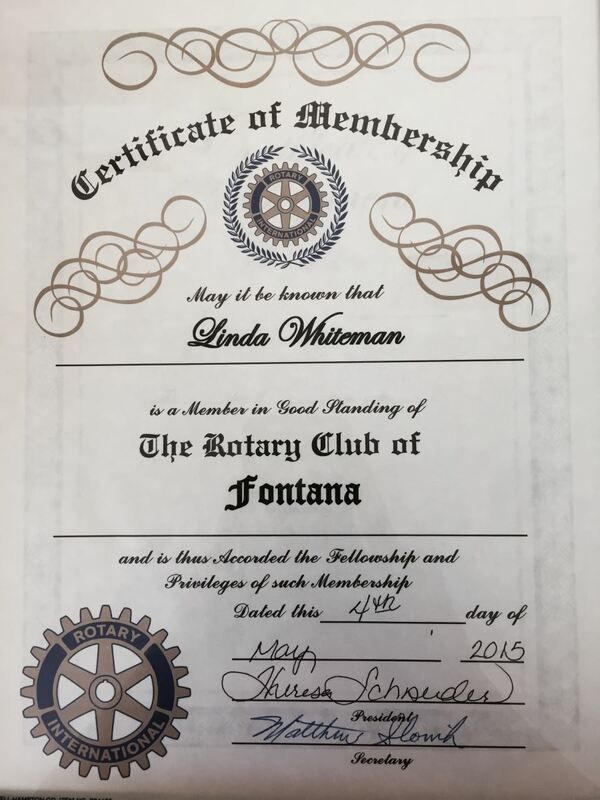 We are proud members of the Fontana Rotary Club! 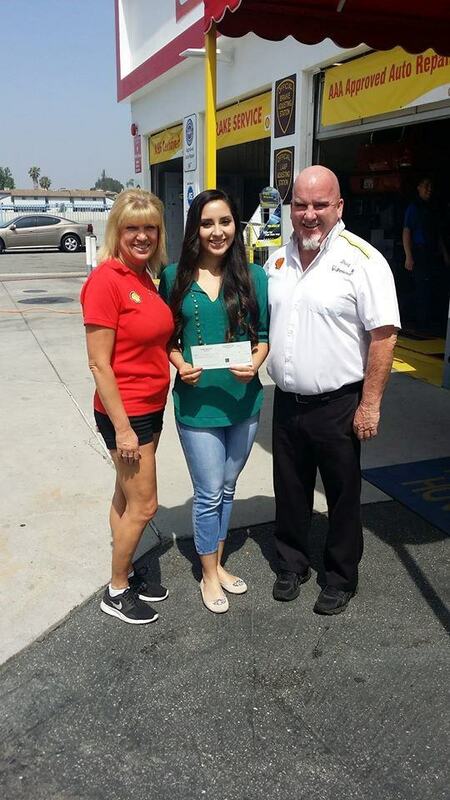 We are always happy to be a part of our community and give back in many ways. It’s an honor to be a part of something so amazing. 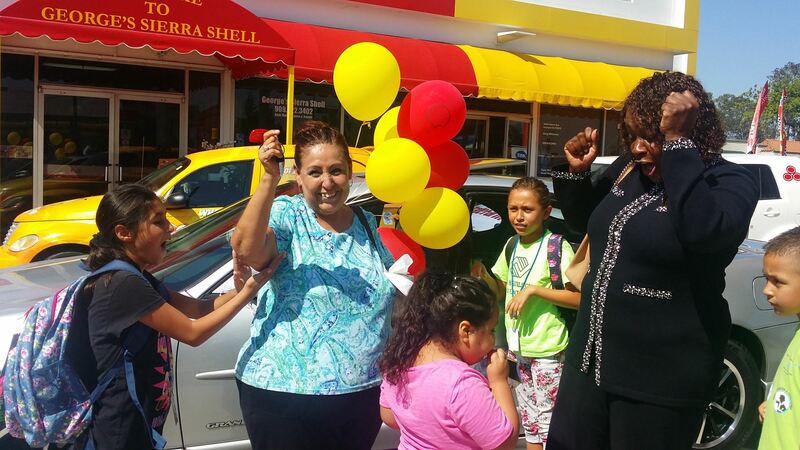 Doug & Linda Whiteman, owners of GEORGE'S SHELL, awarded a car to the deserving Mercedes Barraza who has taken on the responsibility of her 5 grandchildren. 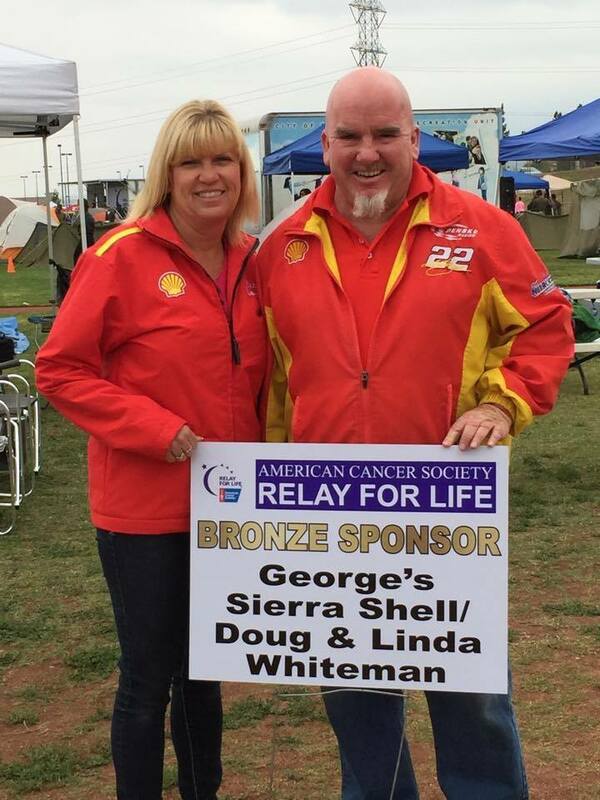 We are always excited to be a sponsor for Relay for Life. Stay tuned for information on their next event in Fontana! 2015 - Miss Fontana "Miss Photogenic"
We're proud to sponsor Gabrielle Agular in the Miss Fontana Pagent hosted at Fontana High School at 6:00pm on June 13th! 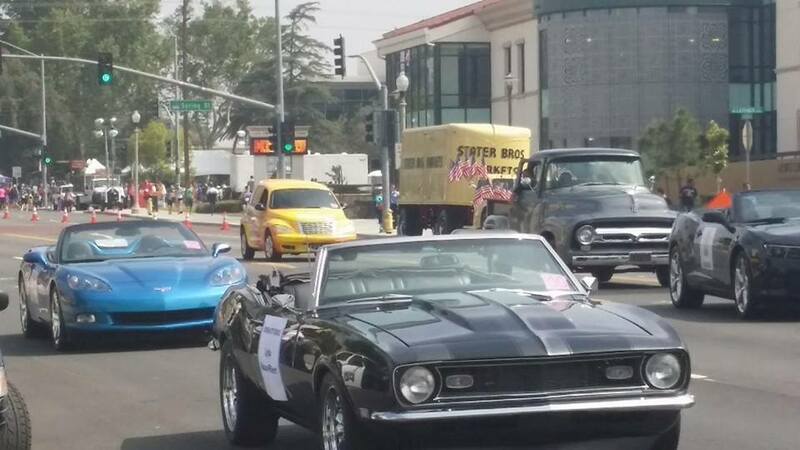 The Fontana Day Parade is always amazing because we love to interact with the community and see the many faces of Fontana. We look forward to next year’s parade! Supporting local high schools is very important to us. We want the best for the children in our community. 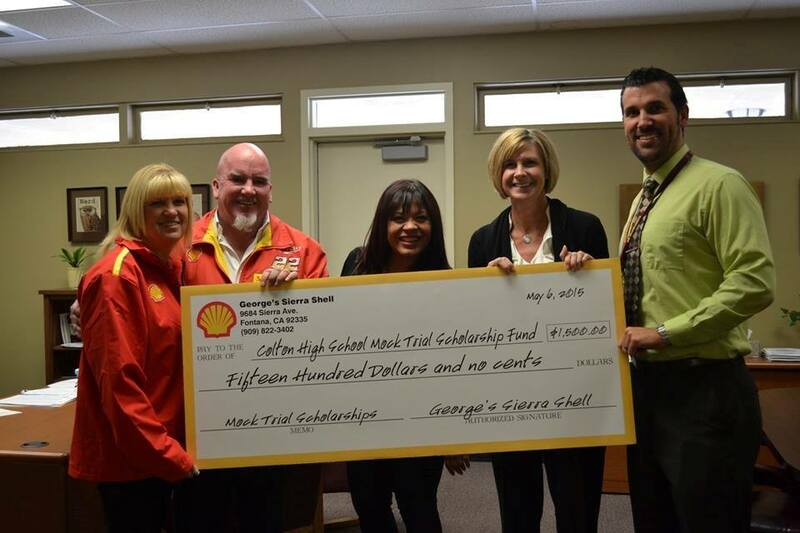 We were lucky enough to support Colton High! Great debate team did a great job! 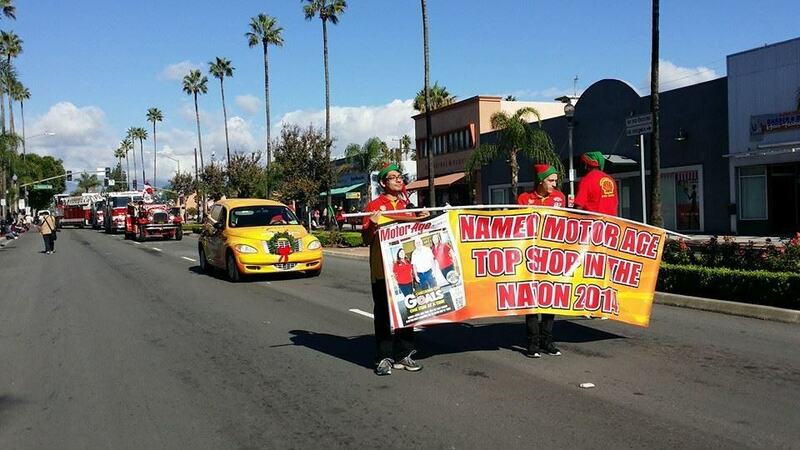 The Christmas Parade is a great way to celebrate the holiday. It’s always great to see the many families and their smiles. We hope to see you at the next one! 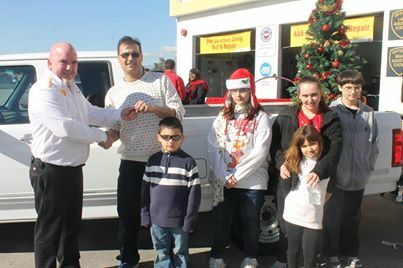 Congratulations to the Davis family for being selected as our Christmas Truck winners! They are a truly special family who were very deserving of this vehicle. Thank you to all of the great organizations for allowing us to sponsor or participate in your activities this year! 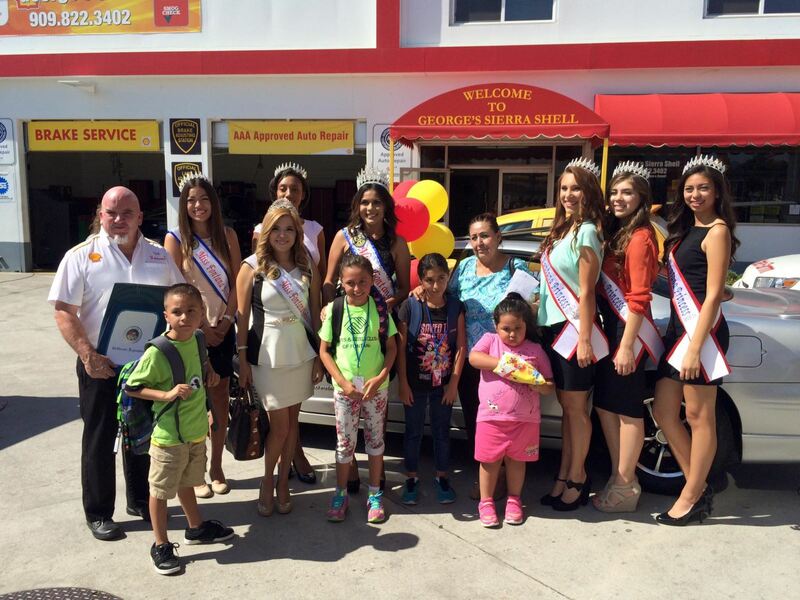 George’s Shell also makes donations throughout the year to various local schools, churches and private fundraising events.